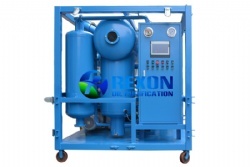 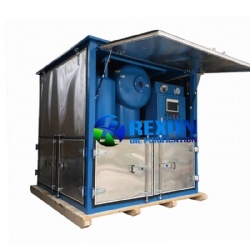 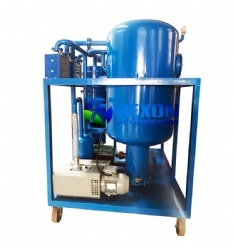 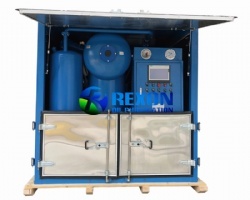 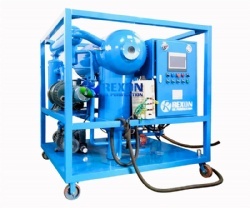 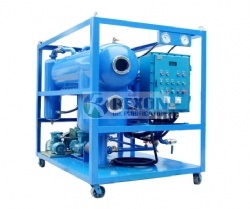 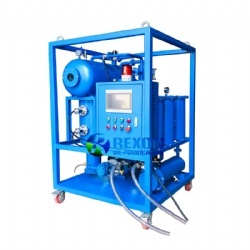 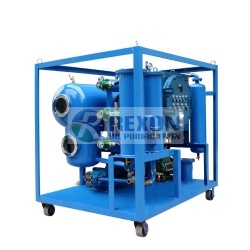 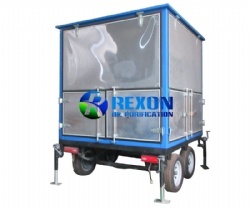 Rexon Enclosed Single Axle Trailer Mounted Mobile Type Transformer Oil Purifier ZYD-WM-1 is used for open field oil filtration work and easy transport. 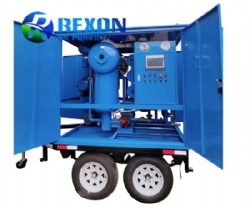 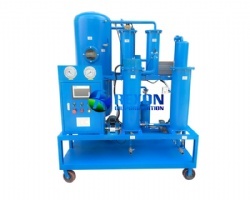 Rexon Enclosed Single Axle Trailer Mounted Mobile Type Transformer Oil Purifier ZYD-WM-1 takes not only housing cover for the equipment, but also takes single axle and two big car wheels type mobile trailer to equip with the plant. 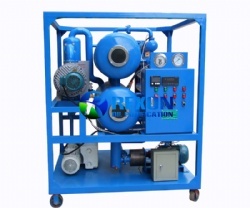 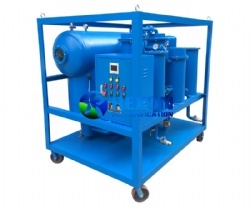 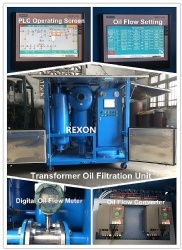 The same functions with ZYD transformer oil purification plant, it can quickly remove water, trace water, gas, particles as well as acetylene, hydrogen, methane and other harmful ingredients from insulating oil effectively to improve oil's dielectric strength to be above 75~80KV, and always keep oil in qualified status. 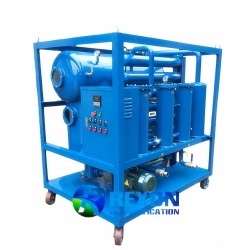 It is suitable for on-site transformer oil purification and oil maintenance for different places. 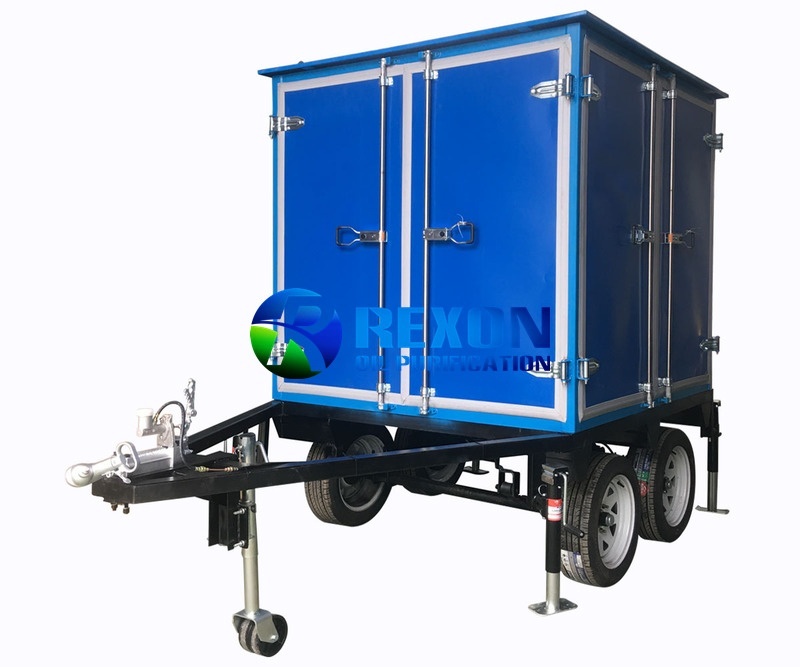 This Plant will equip with mobile trailer(2 wheels) and combined with weather proof housing cover, which is convenient to move for different on-site oil filtration job, easy and steady for transport. 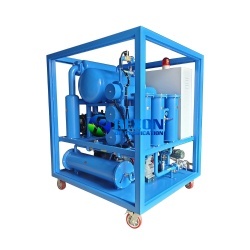 Since it is completely water proof, dust proof, it can protect the machine not to be damaged by raining weather, or in other bad circumstance use. 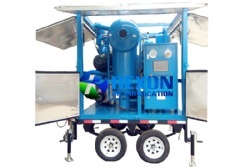 So you can use the machine in any weather and many circumstances for any on-site oil filtration project.